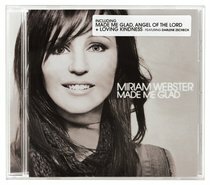 Customer Reviews For "Made Me Glad"
These songs inspire me to draw closer to Jesus giving my whole life to Him. I love the passion in them! What a beautiful voice and music!